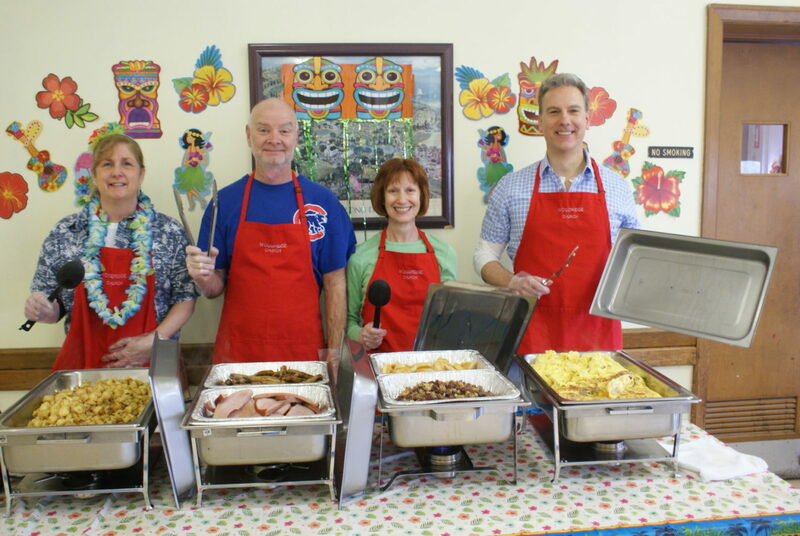 Cranston, R.I. – On Saturday, April 27th, 2019, Woodridge Congregational United Church of Christ will host an “All you Can Eat” Gourmet, Almost May Breakfast in the church Fellowship Hall, which is handicap accessible and located on 20 Jackson Road, off Budlong Road. The menu will consist of: Eggs, Frittatas, Johnny Cakes, Waffles, Ham, Sausage, Home fries, Holly’s Baked Beans, Strudel, Muffins, Assorted pastries, juice, milk, coffee, decaf and tea. Admission is $9.00 for adults and $5.00 for children 3 to 10. Breakfast will be served from 8:00 AM to 11:00 AM. Tickets can be purchased at the door or in advance by calling Dan Blackford at 401-942-0662 Monday through Thursday 9:00 AM to 2:00 PM., and 9:00 AM to Noon on Friday’s or email woodridgechurch@verizon.net. Woodridge Congregational United Church of Christ is located on 546 Budlong Road, in Cranston Rhode Island. Weekly services are held every Sunday at 10 a.m. Following services each Sunday, a coffee and beverage hour is held in the church Fellowship Hall. Woodridge is a community of hope, encouragement and love that is deeply rooted in the reality of the risen Christ with all of the possibilities and challenges that it grants us. We welcome and remind you that No Matter Who You Are, or Where You Are on Life’s Journey –You Are Welcome Here!